by Key Step Media July 5, 2018 Time to read: 7 min. 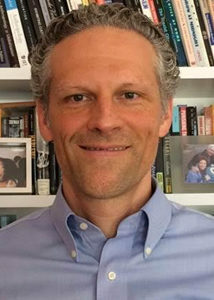 In the sixth installment of Coaching for Emotional Intelligence, Matthew Taylor, a Faculty member and Meta-Coach for the Daniel Goleman Emotional Intelligence Coaching Certification, discusses the potential of coaching to improve safety in schools, the ability to switch between coaching, teaching, and consulting, and more. Previous installments of this series include interviews with Meta-Coaches Dot Proux, Kully Jaswal, Wagner Denuzzo, and Kathy Bollinger as well as Faculty member Michelle Maldonado. Matt has been developing school leaders for 13 years and teaching and leading in the K-12 education sector for 25. Matt currently designs and facilitates Achievement First’s adaptive leadership coaching and professional development model grounded in Emotional Intelligent Leadership theory. This work includes coach training for regional superintendents and senior leaders, direct coaching of senior leaders and principals, and adaptive professional development sessions for cohorts across the leadership pipeline. He received his executive coaching training from the Teleos Leadership Institute. What led you to begin coaching? “Coaching” was part of what I thought I did as a school principal. What made sense to me was that, at a basic emotional level, I was teaching adults just like I had taught my middle school students before becoming a school leader. 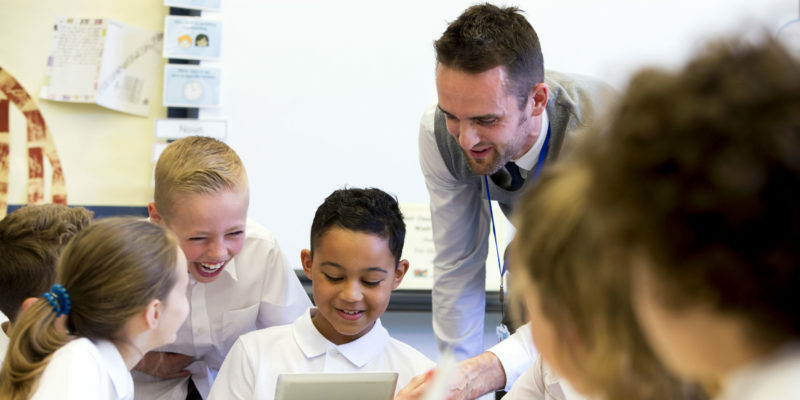 It wasn’t until I received my coaching training at the Teleos Leadership Institute that I realized most of what I was doing as a principal was direct teaching of instructional skills. I did some consulting with my assistant principals, but I did very little actual coaching. I was running a principal development program focused on change leadership when I got my training. It opened my eyes to an entirely different level of development that I could engage my leaders in. Their internal obstacles that had previously seemed like fixed traits to me suddenly seemed movable. I shifted my focus from teaching skills to building self-awareness and managing triggers, emotions, and beliefs that were leading to self-limiting behaviors. Suddenly I was helping people to not only grow in their biggest leadership obstacles, but also their biggest obstacles as human beings. It felt like the most important work that I had ever done. My training in an EI-based coaching methodology shifted my leadership development philosophy and changed the trajectory of my 25-year career as an educator. Five years later, I am on a new path to spread this EI leadership development approach across the charter school sector and beyond. In what ways has your background as an elementary and middle school teacher informed your current work in leadership development? I have taught grades 2-8 in just about every kind of learning community in our country, from inner city neighborhood schools to private, international, magnet, and charter schools. I have taught English, math, social studies, science, Spanish, and dual language immersion, and I have taught just about every kind of learner there is. There is a good deal you learn in graduate school about how to teach content, but very little they teach you (in my experience) that prepares you for the human side of the craft. Great teachers tend to figure this side out on their own, using their innate emotional intelligence. 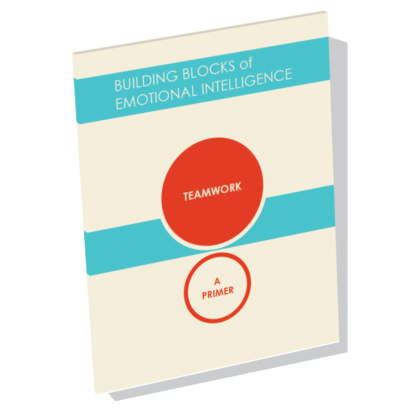 What they figure out, in a nutshell, is how to create the emotional conditions for learning. 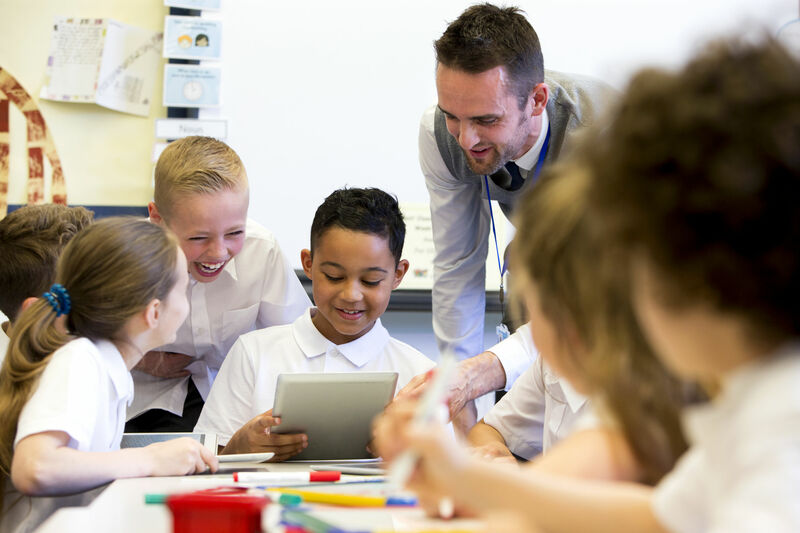 They know that if they want their students to take the emotional and intellectual risks to learn—to make themselves vulnerable to struggling in a group—they have to build a container of shared trust and a relationship that creates a foundation of safety. Great leaders must do the same things for their teams as teachers do for their students. They must be attuned to emotional needs and meet those needs to create the safety their teams need to take the risks inherent in striving for excellence. Helping leaders learn how to create these conditions is, I believe, the end goal of leadership coaching. In light of the March for Our Lives, do you envision any ways in which coaching of school leaders could improve student safety and mental health in American schools? A part of my vision for this work—my dream, really—is that principals learn how to develop their teachers through coaching, and that teachers will then incorporate emotional intelligence, focus, and coaching-quality relationships into their work with students. I deeply believe this will have a profound impact on student safety and mental health, as well as academic results. In many of our schools right now young people are on their own, really, when it comes to figuring out who they are and where they fit into the world. They are more isolated from true communities and mentors than ever, and they are finding meaning, without guidance, on the Internet. Deep personal connection is at the heart of coaching. Its core purpose is to build self-awareness so people can access new growth paths and deepen their identities. Imagine the impact of this kind of relationship and self-exploration on troubled adolescents. Imagine also how emotionally attuned an adult would be to that adolescent. If every teacher incorporated some level of this type of relationship with every student, schools would be much safer places to be in many ways. I think we would solve many of our larger social problems this way. Schools would also become much more effective facilitators of transformational growth. After years of teaching, I deeply believe that students fail not because of their lack of intellectual capacity, but because we as educators haven’t created the conditions they need to reach their potential. One of those conditions is the opportunity to build identity as learners and as members of a caring community. So much of what I do in coaching leaders is building a leader’s competencies to create these conditions in their schools. When school leaders deliberately coach teachers in these competencies, I believe we will see transformative growth from our most challenged, most disengaged students. You’ve written for Key Step Media about the differences between coaching, teaching, and consulting. How did you develop the ability to effectively switch between these varied approaches? Being able to switch back and forth between coaching, teaching, and consulting was a real struggle for me. I come from an education organization with a robust curricular and instructional development model. What we call coaching is really teaching. As a school leader, I became good at developing teachers and instructional leaders through observation and feedback and a gradual release model of 1-1 teaching. And that is really important! Our students significantly out-perform their counterparts in the same districts because of this teaching. However, that skillset did not serve me well when developing people-focused leadership competencies. You can’t teach people self-awareness or self-management. I gradually realized this, and I needed some coaching myself to shift some assumptions and values of my own to get there. Does this sound like a will or a skill issue? What role do emotions (especially fear) play in this challenge for the leader? Once I am confident that we’re dealing with a challenge that calls for coaching, I have a couple of ways that I remind myself that I can’t do the work for my leaders. When I feel the impulse to tell—which is really the impulse to teach—I take a breath and turn my thoughts into a curious question. You have a multi-faceted role in the Daniel Goleman Emotional Intelligence Coaching Certification, for which you are a Faculty member, a Meta-Coach, and a member of the content development team. Could you speak to your involvement and aspirations for the program, as well as what you think this program uniquely has to offer? Yes! I have been working with the KSM team for almost a year. Selfishly, it has been an incredible professional growth experience for me to work with this team on content development. Now that I have met the Meta-Coaching team, I know that my own learning with KSM has just started. The collective wisdom and expertise of this group is off the charts. I really love the way this program marries the EI dimensions into a holistic approach to supporting transformative learning and long-term behavioral change. This methodology is, I think, one of the things that makes this program unique. I also know that the residencies will be best-in-class, given the talent of the Meta-Coaching team and the deliberate way we intend to create the learning space for the felt practice of the coaching. However, I am particularly excited about our program’s digital learning platform. To be honest, I am not always a proponent of digital learning, and have not until now embraced the idea that it had a place in training coaches. Now that I have both experienced the Everwise Platform and started building learning pathways, I am a believer. The Everwise component will turn the spaces between residencies and coaching meetings into impactful self-guided learning opportunities. I’m finding there is something really powerful about getting a manageable “daily dosage” of learning, micro-practice, and reflection. Further, Everwise creates a community where learners can opt into ongoing conversation with their cohort—another opportunity to keep the momentum going. This self-guided learning may be the most unique thing about our program. Could you share a difficult experience you had with a client and how you handled it? The most difficult experiences that I have had with clients all come back to the same challenge: their unwillingness to do the “below the surface” work with me. The greatest gift of coaching is that people learn about the assumptions, values, fears, motives, and traits below the surface of their awareness that either get in their way or are the source of their power. To get there, though, they need to make themselves vulnerable with their coach, and allow the coach to guide them in reflecting on parts of themselves that may feel scary; the parts of themselves connected with intense emotion. People who keep their guard up can’t do the work. I have tried three things when this happens. First, I back up and double down on the relationship. This starts with having honest conversations about trust and what we need from each other. It also includes conversations where we share our personal selves and build common ground. If the resistance persists over time, I step away from the work and lean into high-candor conversations about what I am experiencing, and connect it to the lack of progress I am seeing in the coaching. This conversation tends to raise self-awareness in itself for clients, and can lead us in new productive directions. When these two approaches haven’t worked over time, then I go to my final strategy: terminating the relationship. This starts with a version of the high-candor conversation I just mentioned, but continues with the proposal to end our coaching. Part of the message is that it may just be a personal chemistry thing, and I might not be the right person. Once this conversation led to a breakthrough for a client. The other times it has led to an ending. That has never been easy for me. I question my ability when this happens. But, at the end of the day, the time is wasted for the client if they aren’t willing to do the work with me. What advice do you have for people who would like to become coaches? If you want to be a good coach, you must first experience coaching. If you have not experienced the transformative growth that comes from real coaching, you will not be able to make it happen for others. Interested in working with Matt and becoming a certified coach yourself? Apply now for the Daniel Goleman Emotional Intelligence Coaching Certification. This in-depth program, akin to a professional degree, draws upon a range of evidence-based concepts and practices, including the Emotional & Social Intelligence framework. Coaches will gain meaningful new insights to impact their personal and professional lives through online learning, one-on-one guidance from a Meta-Coach, a coaching practicum, and more.